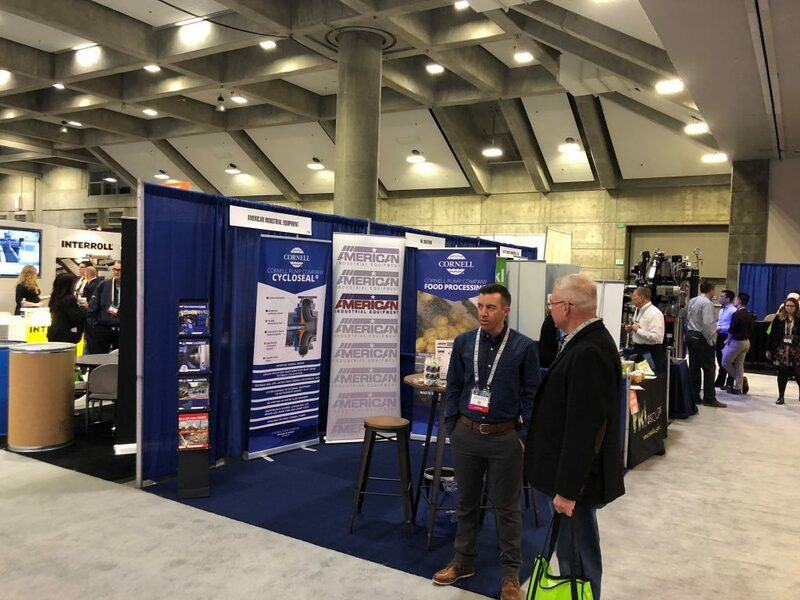 Cornell Pump is proud to support our Northern California industrial market distributor, American Industrial Equipment, at the Food Processing Expo in Sacramento, California. The Expo runs February 12 & 13, 2019, and boasts over 2,600 attendees looking for innovative solutions to food transport and packing. Stop by booth # 1131 to see all of Cornell’s hydro transport, hot oil, refrigeration, and waste water solutions for food processing.